For those of you fascinated by analogue synthesisers and recording equipment (check out the multi-track tape machine!) you should find this video pretty interesting. In the first video in the playlist, Peter Howell shows how he uses a lot of synthesized sounds to remake one the most well known TV theme tunes - his version was used during the 80s. The second clip discusses the history of the Doctor Who theme tune and in the third clip you can listen to the original composition from the 60s. 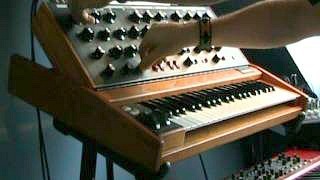 The final video features a performance on a Minimoog synth - mouthwatering stuff for us geeky synth fanatics! 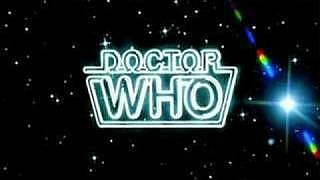 Of course, all versions of the Doctor Who theme music are still based around the original music score, which was written by the composer Ron Grainger and was put together by Delia Derbyshire who worked for the BBC Radiphonic Workshop. This was before the release of any commercial synths and involved editing (cutting, splicing, speeding up, slowing down etc.) segments of analogue tape recordings! An incredible amount of hard work must have gone into creating such an eerie, futuristic sound with the equipment available at the time. 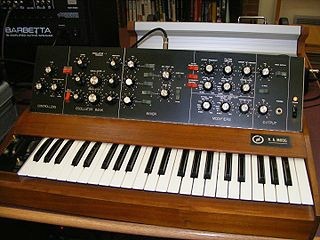 The Minimoog Voyager Old School (used in the third video) is not an original analogue synth and was released in 2008.